Marian Benson, Doug Miller and Bette Spain have been named the Braunfels Foundation Trust’s 2017 Living Legends. The announcement was made last week at the Trust’s Summer Social. A New Braunfels area Living Legend will have made a significant contribution to this immediate area, state, or nation. This person shall reside in the area and be widely known for making a difference through their certain and well-known accomplishments. Marian Benson has been named a “Princess of the City” not once – but twice – by the New Braunfels Chamber of Commerce. She has been honored with the Chamber’s Besserung award — or outstanding citizen award — and was further recognized for her civic activities with induction into Honors Hall. 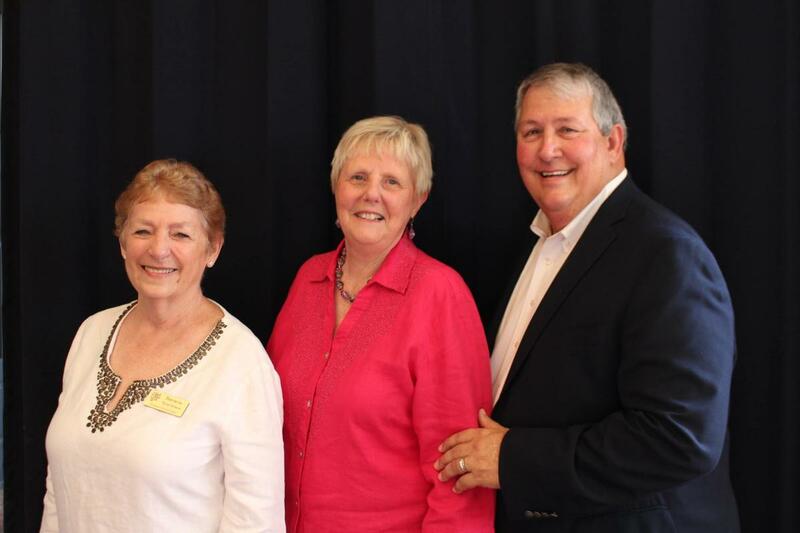 She is a founding member of the New Braunfels Area Community Foundation. While the list goes on and on, her efforts in revitalizing and invigorating our beautiful downtown with events such as Wassailfest and the Downtown Treelighting have earned her not only numerous awards and recognition but sincere gratitude as well. Doug Miller began his public service first as a city councilman and then as Mayor. He served on the first Board of the newly-created Edwards Aquifer Authority and later served as its Chair. He has served on the board of New Braunfels Utilities. In 2008, Miller ran for and was elected District 73 State Representative serving Comal, Gillespie, and Kendall counties. For four terms, he represented the community in Austin serving on various committees. His is a major in the Texas State Guard, serves as Chair of the Texas Legislative Conference, and is the Finance Chair for the City’s 175th Anniversary. Bette Spain is also no stranger to civic involvement. She served as a New Braunfels Independent School Board Trustee for three terms serving in all capacities on the Board including Board President. She was instrumental in the creation of both the NBISD Education Foundation and the New Braunfels Chamber’s Youth Leadership New Braunfels Program. As a board member of McKenna Hospital, she helped guide that organization during the sale to Christus Santa Rosa and in establishing the McKenna Foundation where she served on the Board. Her contributions at the Sophienburg Museum range from teaching classes in Scherenschnitte to the fundraisers Weihnachtsmarkt and Sophie’s Shop. She was also named an “Unsung Hero” by the New Braunfels Herald-Zeitung. The Living Legends of New Braunfels will be honored at the 2nd Annual Braunfels Foundation Trust Celebration Luncheon beginning at 11:30 a.m. on Monday, October 2, at the McKenna Special Events Center. Tickets are available through the website Eventbrite at: www.2017nblegends.eventbrite.com.